This project-level dataset of multi-bi aid (earmarked voluntary contributions or non-core multilateral aid) to multilateral organizations spans all OECD/DAC donors over the 1990-2012 period. It includes more than 100,000 multi-bi aid activities that are hand-coded for their channel of implementation and earmarking depth. Access to the dataset may be requested through the Institut für Politikwissenschaft. Eichenauer, Vera Z. and Bernhard Reinsberg (2017). What determines earmarked funding to international development organizations? Evidence from the new multi-bi aid dataset. Review of International Organizations, doi:10.1007/s11558-017-9267-2. This project-level dataset of multi-bi aid to multilateral organizations spans all OECD/DAC donors over the 1990-2012 period. It includes more than 100,000 multi-bi aid activities that are hand-coded for their channel of implementation and earmarking depth. The data set is based on the Creditor Reporting System from the OECD/DAC. Multi-bi aid includes all earmarked voluntary contributions to multilateral agencies, i.e., contributions outside the core funding, generally using special trust funds. Two complementary datasets include aggregate multi-bi aid flows and a complete list of multilateral institutions that received multi-bi aid over the last two decades. This dataset was compiled by Bernhard Reinsberg (University of Zurich) and Vera Eichenauer (Heidelberg University). Read more about the Multi-bi aid platform. For the aid codebook, please see Multi-bi aid:Tracking the evolution of earmarked funding to international development organizations from 1990 to 2012. 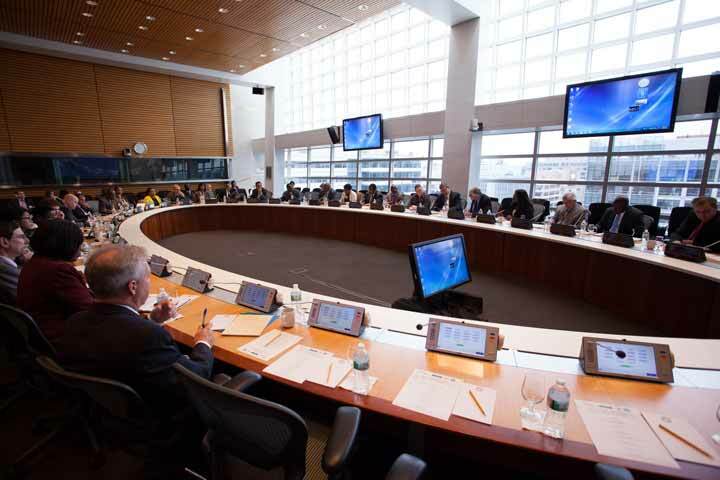 When does multilateral development finance provide better value-for-money? AidData's Brad Parks, Mike Tierney, and Daniel Nielson highlight insights from their co-edited special issue of the Review of International Organizations.